CDex is a CD ripper for Microsoft Windows. It convert tracks on a CD to standard computer sound files, such as WAV, MP3, or Ogg Vorbis. 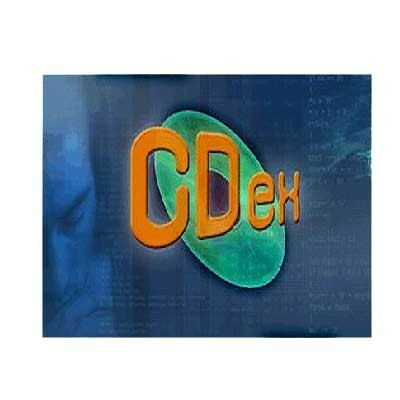 CDex is able to convert CD audio into several formats including WAV, Vorbis, MP3 (using the LAME encoder), VQF, Musepack, APE, and many others. As of version 1.70b2 FLAC encoding is native, but for version 1.51 FLAC and other codecs can be used by using an external encoder. For convenience, it supports CD-Text to allow ripped tracks, with reduced user effort, to have the names of songs, artists and albums. It also includes cdparanoia for robust CD reading.